I read a post today on one of my favorite craft blogs, Infarrantly Creative, where she shared a few of her great ideas. I love getting tips from people on how to simplify and improve our lives in easy ways. She's also giving away two of my favorite things to go along with her linky party- a Cuisinart Ice Cream Maker and a Metal Cookie Scoop. I've gushed about both of those before and can't imagine my kitchen without my drawer full of scoops. Since I loved her post so much I thought I would join in and got me thinking about something I do on a regular basis that we love. Sure I make crazy treats occasionally, but it's not all brownies and cupcakes for dinner (though I'm sure Baby Strawberry wouldn't object!) I always need more healthy, quick, and economical meal options. Making croutons and salad dressing go right in with that. I heard a quote once about how the French think Americans are bad cooks because we actually BUY our croutons. Making them is quick and tastes SO much better. I usually use the heels or unwanted end of the loaf of French bread from last nights dinner. Toss with salt and pepper, olive oil, and some seasoning and you are pretty much done. 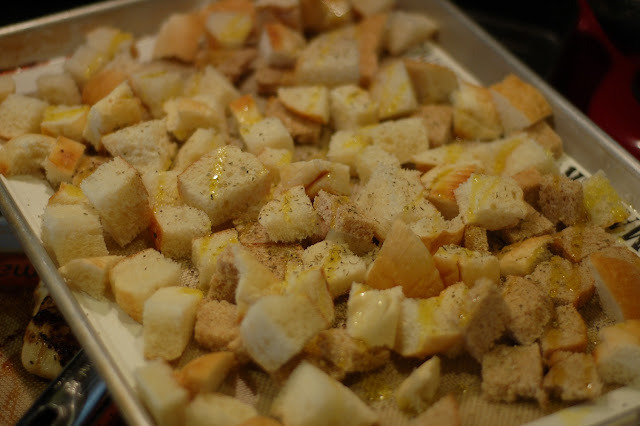 A few minutes in the oven or tossed on the stove and the house smells good, you have a nice bag of delicious croutons, and it was pretty much free (that's fuzzy Anne math for you there!) You can even use left over rolls, hamburger buns, whatever bread you have around. They taste incredible in Panzanella too. You can see the crouton recipe here. Do you have any simple, great ideas that make life easier for you? I'd love to hear em! 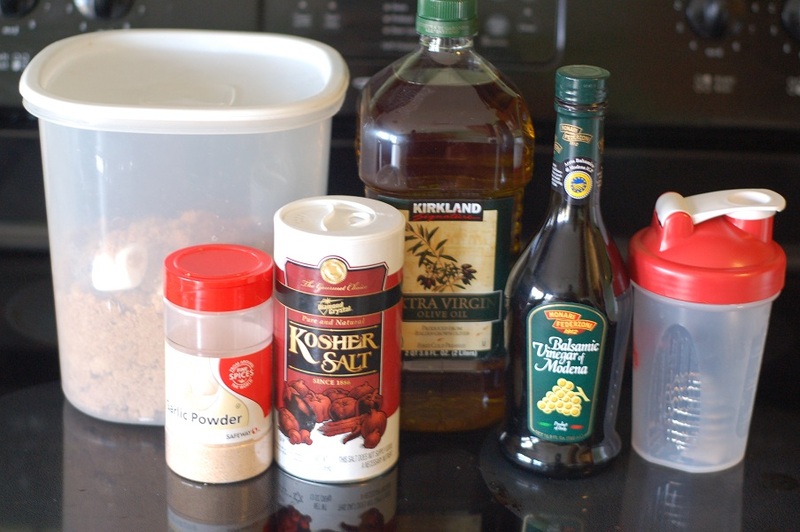 Combine all ingredients in a blender bottle (or jar) and shake to combine. Toss salad and serve immediately. This makes a lot of dressing so I usually half it and store my extra dressing in the fridge for couple of weeks- but it always gets eaten before it goes bad. Serve with my Cheesecake Factory Knock Off French Country Salad (with goat cheese! 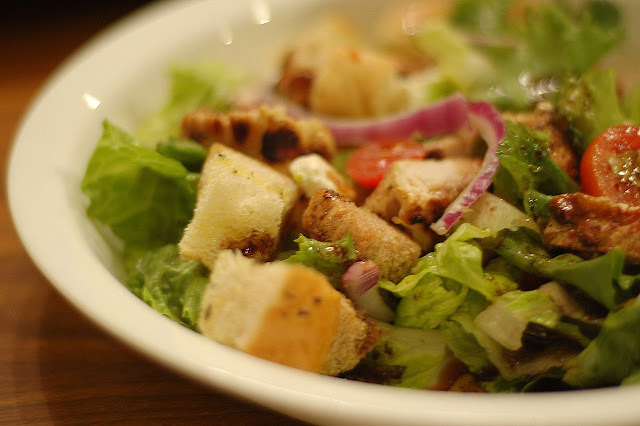 ), panzanella, or your favorite green salad. You can't go wrong here. Thanks for linking up to my party. I love making my own croutons too. I do make a dressing for one of my salads but I haven't tried yours. I bookmarked it to try sometime. And thanks for calling me "one of your favorite blogs". That blows me away. You make good food sound so simple Anne. I surely love your style. This dressing is a staple in my frig! Looks yummy! I'm always in the mood for a good salad! love homemade dressing and croutons- makes such a difference with salads. Yum this salad looks delish! I should try salad dressing. James has been doing simple oil and vinegar since he grew up, so I should try it. I've been making my own granola and recently tried making granola bars (not bad for my first time, but I'll make adjustments for next time). It may take a little extra work, but its actually really easy and a lot cheaper than granola at the store.